Let’s project ourselves 12 weeks into the future and imagine that by then Coca-Cola will have committed to undertake trials of our idea in east Africa. Questions like this spark other questions like “What are the dimensions of the Coca-Cola crates and bottles used in east Africa?” and so on. Can anyone with thoughts, answers or more questions please post them here by commenting? Click here and scroll down. There are now nearly 5,500 members of the Facebook Group from all over the World; there are employees of Coca-Cola looking at this website along with people from the frontline in Africa, Asia and South America and some of the best design brains in the business . . . . The genius is in the network! Let’s see what we can come up with. Your contributions please! 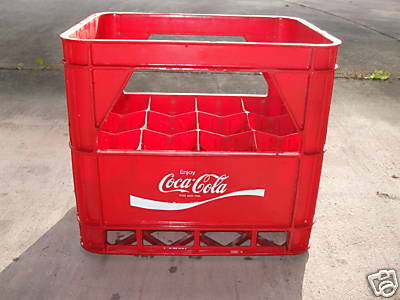 Can we not use standard Cola’s crates and just take a box dimensions to make something rigid and strong to carry glass or mixed materials? If use of a crate is a must we should have a full scaled geometrical view. Can we get this somehow? My ‘feeling’ is that the rehydration salts and educational materials we are seeking to distribute would have a far bigger impact if they were _inside_ the crates. They would generate a lot more interest that way i think. If things are in a separate box they will get lost/forgotten about. I have no evidence for this ‘feeling’ I hasten to add. I am hoping that someone on the frontline will provide the measurements we need.